This is the second post in a series on women and Hashimoto’s thyroid disease. Start with the first post. In Functional Medicine we treat the person rather than the disease. We look for antecedents, or events preceding disease symptoms. We also search for triggers or “root causes” that create the perfect storm for Hashimoto’s genes to flip on. Bacteria: Yersinia enterocolitica and H Pylori. Viruses: Epstein Barr 19 (EBV19) and the viruses Hepatitis B and C, Human T-lymphotropic Virus (HTLV), HIV, Rubella, Herpes Simplex, and Parvovirus. Additional bacteria and viruses may trigger Hashimoto’s disease. Epizootics of thyroid lesions in fish and piscivorous birds that are resident in the Great Lakes region of North America suggest that there are environmental factors present in the Great Lakes ecosystem that act as potent endocrine disruptors, and that they are transferred along the food chain. Of the thousands of chemcials in our environment, specific ones associated with Hashimoto’s include polychlorinated biphenyls, dioxins, phthalates, polybrominated diphenyl ethers (PBDEs), and other halogenated organochlorines. There are likely many more chemicals that could play a part in thyroid disruption. Heavy metal toxicity associated with Hashimoto’s disease includes mercury, in addition there’s implications for lead, cadmium, and arsenic. These authors show that high iodine intake, as well as deficiencies of selenium, iron, and vitamin D, increase risks for Hashimoto’s disease. 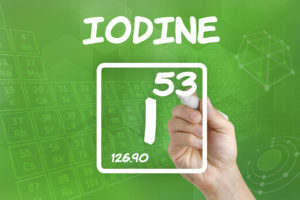 Iodine is essential for thyroid hormone production, however too much iodine may cause Hashimoto’s autoimmunity. You absolutely need selenium to convert T4 to active, usable T3. High iodine intake is particularly risky when selenium is deficient. Once upon a time, iodine deficiency was the most common cause of hypothyroidism in the United States. In the early 20th century, we began to add iodine to salt. 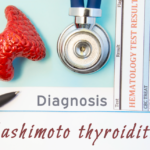 Iodine deficient hypothyroidism and related goiters decreased, and Hashimoto’s thyroid disease emerged as the predominant form of hypothyroidism. It’s possible that over supplementation with iodine increased autoimmune thyroid disease. There is a sect of alternative medicine practitioners who use high-dose iodine supplementation, in the range of 10-15 mg. However, this approach is not supported in scientific and medical literature. I’ve personally treated patients whose Hashimoto’s disease was clearly induced by high intake of iodine prescribed by such practitioners. Iron, ferritin (stored iron), and vitamin D are frequently low in women with Hashimoto’s. With most autoimmune diseases, it’s essential to assess gut triggers. In a nutshell, this includes microbial imbalances, food intolerances, and intestinal permeability (leaky gut). All of these conditions can be huge triggers for your immune system to go haywire. In other words, your immune system becomes dis-regulated, and attacks your own body tissues. This idea is not new, however at one point it was a fringe concept. At this point there are hundreds of research papers that validate the connection between gut infections, food intolerances, intestinal permeability, and autoimmunity. Hypothyroidism and Hashimoto’s disease commonly correlate with small intestine bacterial overgrowth. 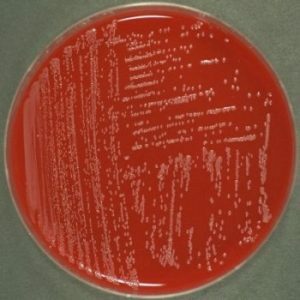 In this condition, bacteria produce toxic lipopolysaccharides (LPS) byproducts. These endotoxins (toxins produced in your body) get through your intestinal lining and wreak havoc with your immune system. There is ample evidence of a strong association between celiac disease and several immune mediated diseases, including autoimmune thyroid disorders. In fact, there’s so much evidence that gluten intolerance correlates with thyroid autoimmune disease, that physicians at prestigious teaching universities such as Stanford and UCSF now recommend that people with thyroid autoimmune disease avoid gluten. Non-celiac gluten sensitivity is a real thing, and testing may reveal that you don’t have celiac disease, but you do have gluten intolerance. As a side note, I’ve worked with patients who were able to bring thyroid antibodies into normal range by completely avoiding gluten. * The Functional Medicine approaches are suggestions, but they are not all-inclusive. The triggers are not all-inclusive as well; however they are my go-to ones to dig into. The next post addresses how to regulate your immune system, in order to calm down your autoimmunity and inflammation. I read you article above and many others that mention the same thing about this Thyroid disorder. I am currently working a naturopathic doctor in Elk Grove, CA. I believe she is limited on this topic. I have been looking for a Functional medicine doctor that is knowledge about healing my Thyroid. Are taking new patients and if so, do you conference with patients via phone? You can go ahead and book online. I am looking for a doctor who specializes in Hashimoto’s. Where are you located?